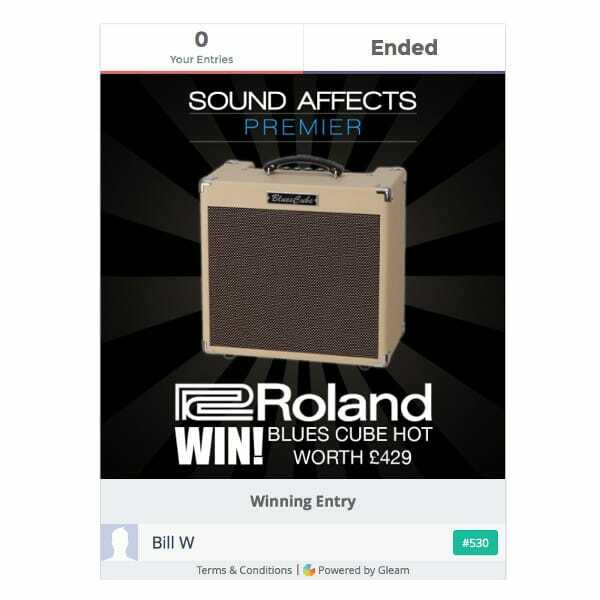 A big thank you to all who entered our last competition and congratulations to Bill W for winning the stunning Roland Blues CUBE Hot amplifier! Sad that you didn’t win? Don’t worry, we have yet another awesome competition for you! If you would like the chance to win a Roland JC-01 Jazz Chorus Bluetooth speaker, look no further. WORTH £155 This piece of tech is a must for any guitarist! Really want to win? You can get extra entries by doing actions like following us on Facebook and Twitter and sharing with friends (you’ll get an extra entry for every friend who signs up because of you).